Take the 2008 Rapido, a Nautitech 40 out on the Adriatic for a speedy and fun sailing holiday. Glide through the sea with your sails raised and soak in the sun as you manoeuvre this fantastic catamaran at the cockpit equipped with a double-steering wheel. 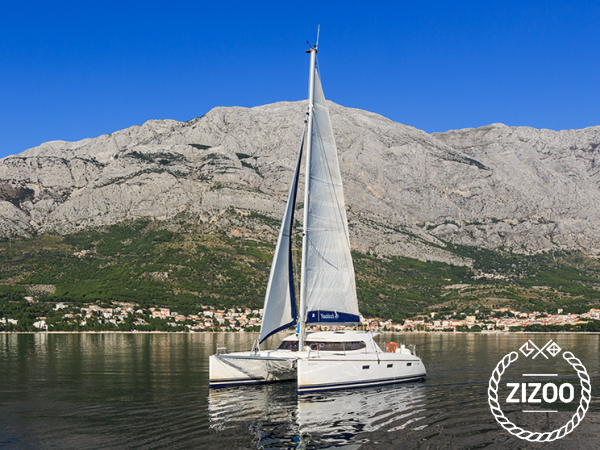 Experience a smooth and easy ride as you travel to the Island of Hvar for an afternoon of ice cream and cocktails. Or sail over to Tijat Bay and dive into the turquoise waters that promise so many more magnificent colours down below. If you're seeking a gastronomical adventure, head to Komiza on the island of Vis, and check out Konoba Bako for some of the freshest and best seafood dishes around. With 4 cabins that sleep 8, the Rapido is a great boat for families and groups of friends alike. For all your sailing questions and queries, contact the friendly crew.